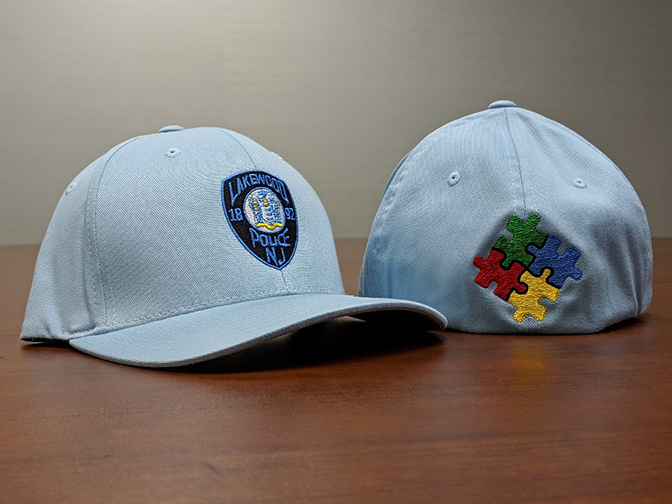 The Lakewood PBA Local 71 is selling Autism Awareness Hats with all proceeds going to Peak Potential Non-Profit. Hats are $25.00 each and are available in Small/Medium or Medium/Large. *Note: Hats must be paid for in advance then picked up in person. You will receive a email once your hat is ready for pick up. Please bring your purchase receipt to the Watch Commander’s Office Monday – Friday 9am – 5pm. Clicking the Buy Now button above will re-direct you to PayPal to complete your purchase. Peak Potential Non-Profit, a NJ Non-Profit Corporation sponsors this various events throughout the year. The mission of Peak Potential is to support, promote, and engage people diagnosed with Autism and other developmental disabilities and their families in Burlington County and the surrounding areas. Peak Potential hosts Autism Friendly events, such as our Autism Friendly Trunk or Treat, Autism Friendly Visit with Santa, Autism Friendly Egg Hunt, and Autism Friendly Field Day. Peak Potential also awards scholarships for social skills groups and sponsors parent support groups in our community.